In The Century Plan, The Trust for Public Land identified the protection of Westecunk Creek, an important Barnegat Bay tributary, as vital to the health of this vast New Jersey watershed. 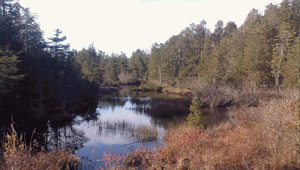 In 2011 TPL conserved a 79-acre property adjacent to both the Edwin B. Forsythe National Wildlife Refuge and New Jersey state forest lands as an addition to the refuge, completing protection of the entire 260-acre Westecunk Creek property. The 79-acre property in Eagleswood, Ocean County, includes both the main stem of Westecunk Creek and also intact habitat for wintering bald eagles, wading birds, and migrating songbirds and raptors. Funding for the purchase came from the federal Land and Water Conservation Fund (LWCF), the principal federal program for conservation of key lands within our national parks, forests, wildlife refuges, and other popular and sensitive areas, and for support of state and local parks and recreation.